Medicare for all is embraced by some 2020 Democratic hopefuls. But what exactly is being proposed, what will it cost and what would it change in American health care? Huffington Post: "‘Medicare For All’ Is Turning Into A 2020 Litmus Test For Democrats" — "Sherrod Brown has been calling for universal health care since 1992. That’s when he first ran for a U.S. House seat in Ohio, vowing to decline the federally subsidized insurance for members of Congress until his constituents could get similar coverage. He won that race and he kept that pledge, buying policies on his own until 2011, after the Affordable Care Act became law. "He was a senator by that point, and like every other Democrat in the chamber, he voted for President Barack Obama’s signature health care law. But before Brown did that, he promoted a series of proposals designed to make the program more generous and comprehensive. One of them was a last-minute amendment that would have replaced Obamacare’s intricate scheme for competing private insurers with a 'Medicare for all' program, under which everybody would enroll in a government-run insurance plan. "Nobody seriously thought Democrats were about to scrap legislation they had spent nearly a year writing. By supporting the amendment, Brown was mostly trying to demonstrate his commitment to improving the Affordable Care Act, if not before it became law, then afterward. It was a symbolic act, but a conspicuous one, with only one other senator co-sponsoring it. "The amendment’s author was Sen. Bernie Sanders (I-Vt.), the most visible champion of 'Medicare for all.' In 2016 he made the idea a centerpiece of his presidential campaign, and a year later, he introduced a new version of 'Medicare for all' legislation ― this time, with 16 co-sponsors, proving just how popular the idea had become in the interim." CNN: "Democratic anxieties over 'Medicare for all' kick off first 2020 primary fight" — "The fight to preserve Obamacare kept ambitious Democrats in near lockstep during the first two years of Donald Trump's presidency. But as the party begins the process of selecting a 2020 nominee, the future of health care in America has emerged as an early flashpoint. "At the center of the early debate is whether Medicare for all — a national, government-run system — should be a centerpiece of the party's platform. Beyond that, there is a more vexing question, given broad public support for the concept: how to both define what Medicare for all means and sketch out a realistic path to enacting it. "The ensuing disputes have frayed Democratic solidarity over health care, kicking off the first meaningful policy scrap of the 2020 primary contest. What had recently been passed off as minor or, given the Republicans' grip on government, academic differences, are now opening up like seismic rifts — offering insights for voters not only into the candidates' visions for health care, but on how they might act as president." The Hill: "Poll: Supporting ‘Medicare for All’ helps presidential candidates" — "Presidential hopefuls who back universal, government-provided health care are more likely to receive public support than candidates who don't, according to a new poll. 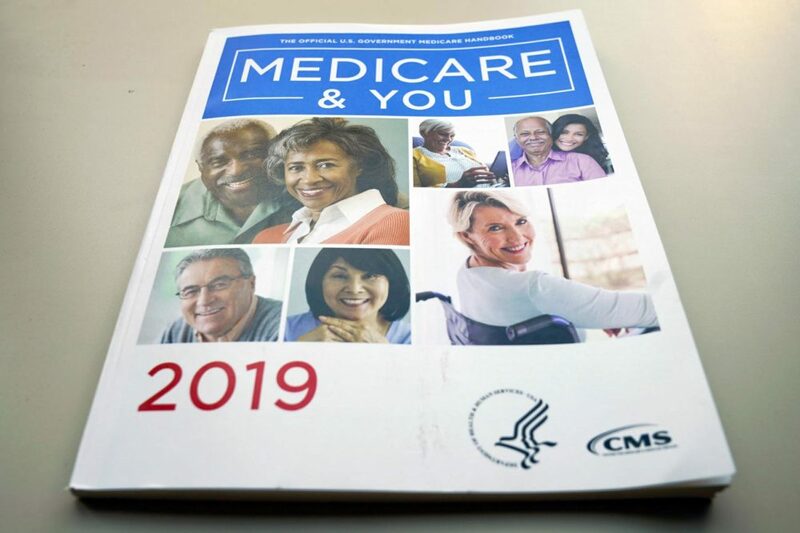 "Fifty-three percent of registered voters in a new Hill-HarrisX survey said they would be more likely to back a presidential candidate who supports expanding Medicare to include all Americans. Twenty-three percent said taking that position would have no effect on their vote, and 24 percent said it would make them less likely to support the candidate. "Seventy-three percent of Democratic respondents said they were more likely to vote for a White House hopeful who favors 'Medicare for all.' Just 9 percent of Democrats said candidates with that position would be less likely to attract their support." This program aired on February 5, 2019.